Dating in New York City is hard. But dating in New York City if you are LGBT can be even harder. Many people think that living in a city that arguably has the largest LGBT population of any city in the country that finding a mate will come naturally, however the opposite is true. New York City is a gateway to the world, being the center of finance, the arts, and fashion… and with that comes a large workforce who are constantly juggling several plates at once. In a city as busy as this one, it’s hard to lock down a mate simply sometimes because everyone works so much. Another aspect that hinders many NYC LGBT daters is the “there’s always something better around the corner” mentality. 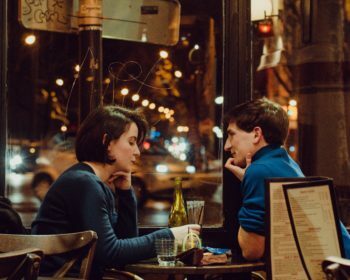 New Yorkers are almost trained to want what they don’t even know — the new restaurant that everyone is talking about, the new bar that was jam packed last week, the latest Broadway show that is sold out for months ahead of time — and that sensibility can also translate to dating. New Yorkers are especially fickle when it comes to wanting more and many won’t settle with someone when they think they can get something better around the corner. The amount of gay bars and establishments also furthers this need for more because there are so many options on where to socialize and who to potentially meet. There are so many of us here and so many dating apps (like Grindr, Tinder, OK Cupid) that finding a partner in New York can sometimes feel more like a job and less like the fun it’s intended to be. That’s why more and more LGBT’s are turning to highly skilled matchmakers to find love. 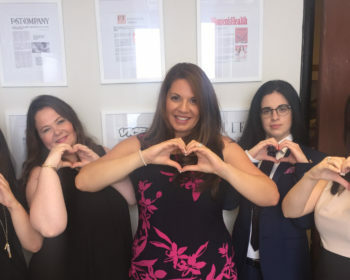 When someone hires a gay matchmaker in New York, it’s clear that finding love it top priority to them. They’re tired of trying to find the “next best thing” or being passed over for it and are ready to settle down in a mature and loving relationship — one that a dating app can’t necessarily provide. More LGBT singles are flocking to gay matchmakers in New York City because of the personal touch they add. Instead of sifting through thousands of pictures on a website or roaming around a bar looking for a guy or girl who fits your physical taste, many matchmakers set their dates up completely blind — meaning they match only on what’s inside and not the physical. More New Yorkers than ever are ready to mix. Are you? BE PROACTIVE. GET READY TO MIX HERE.